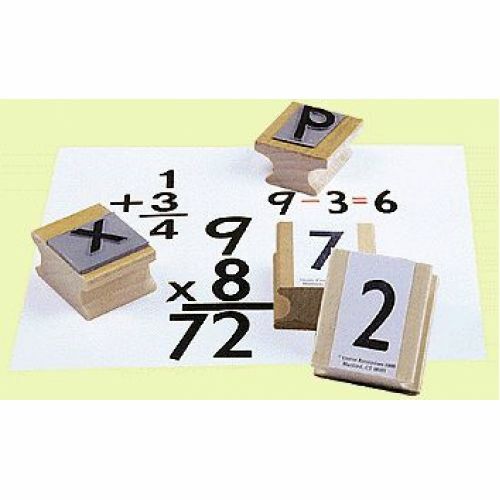 A versatile set of stamps that can be used for counting, sequencing, making math facts, matching, posters, charts and games. This set will prove to be a real time saver. Set includes numbers 0-9 and the following signs: addition, subtraction, multiplication, division, and equals.